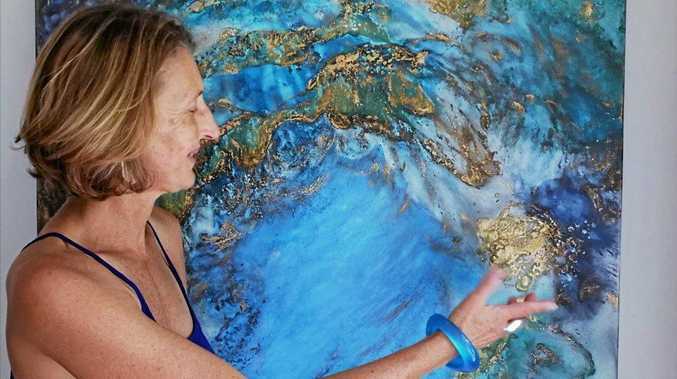 And this time, it's staying in Eumundi. Last Thursday, a large gathering of townsfolk came together to congratulate the new team, which has re-established a brand which first appeared in 1988, introducing a completely re-defined brewery, complete with live performance stage on top. Lion's master brewer Chuck Hahn took the stage, accompanied by head brewer Chris Sheehan, brewer Allan Tilden and Imperial Hotel manager Paul Thomas, to proclaim the re-invention of the famous brew. Mr Hahn, who started Hahn Breweries also in 1988, said the renovation of the brewery adjoining the hotel was "unbelievable” compared to its run-down state two years ago. "This brewery opened in 1988, the same as Hahn Brewery, and Bernie Powers opening Powers Brewery,” Mr Hahn said. Following a brief public listing, the Eumundi brewery was closed in 1992 and brewing was contracted to Yatala Brewery (formerly Powers Brewing then CUB). Brewing ceased in 2004. October 2016 saw the announcement of a new partnership between Lion and the Imperial Hotel - to see a return of the much-missed local beer brand, Eumundi. And now, the original, renovated brewery has a new lease of life. "We're about developing craft brands, so Eumundi will become more than just a market town on Saturdays,” Mr Hahn said. Mr Hahn said the boutique brewing industry had grown massively. "In 1988 there were about 30 breweries (nationally) - now there are 400. Mr Thomas said the town supported the return of "a truly local beer”. He said the brewery design meant visitors would be able to see the process. "And from October we'll be offering brewery tours so people can learn more about the brewing process and our flavoursome yet very drinkable beers,” Mr Thomas said. 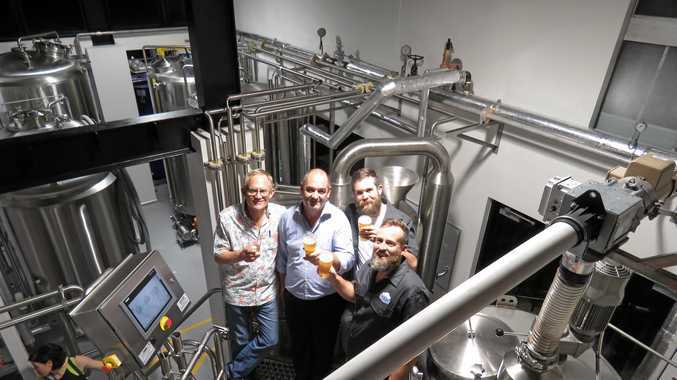 He said it was "exciting to be partnering with Lion” to bring the beer back to Eumundi and the Sunshine Coast region "and to be able to share an authentic brewing experience with visitors”. Mr Sheehan said the initial offerings, Eumundi Brewery lager brew and pale ale brew "came out right where we wanted them to, and we're excited to share them”. "We'll now start looking at our first seasonal beer a ginger pale ale, which should be a heap of fun partnering with local ginger growers,” Mr Sheehan said. The beers will be available across the Sunshine Coast from the September long weekend.